The end of January is finally near, and what better way to celebrate than with a ski getaway with Crystal Ski? With a great selection of destinations and prices, you can choose where you want to go and how much you want to pay! 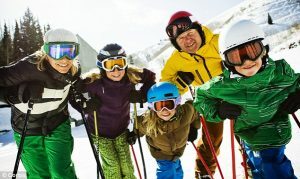 Crystal Ski have knowledgeable teams, based in almost all resorts, who can organise everything you need to get you going on the slopes, plus plenty of other activities, so you can have fun off them too.